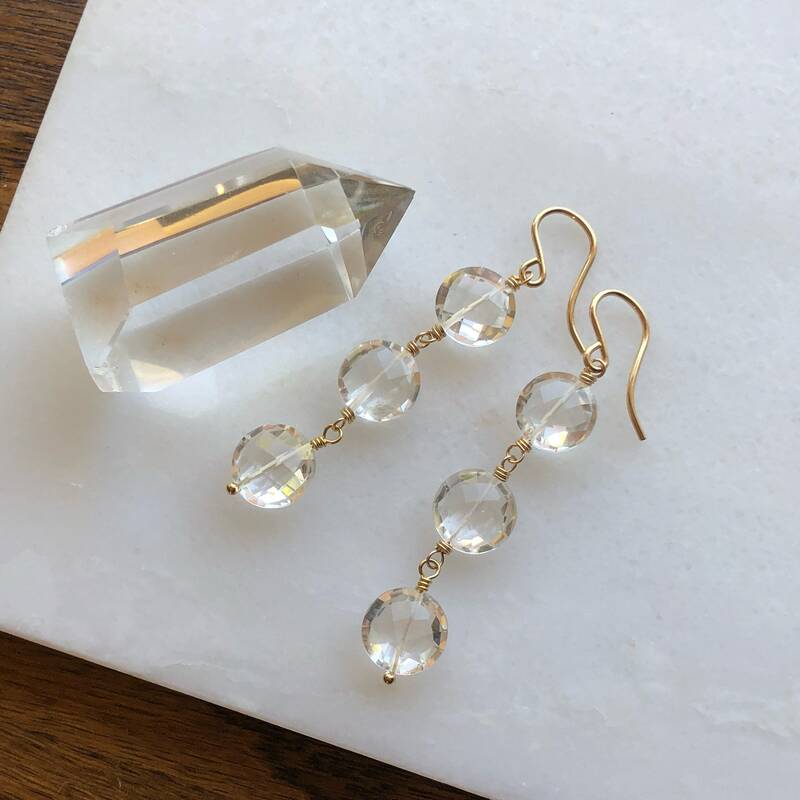 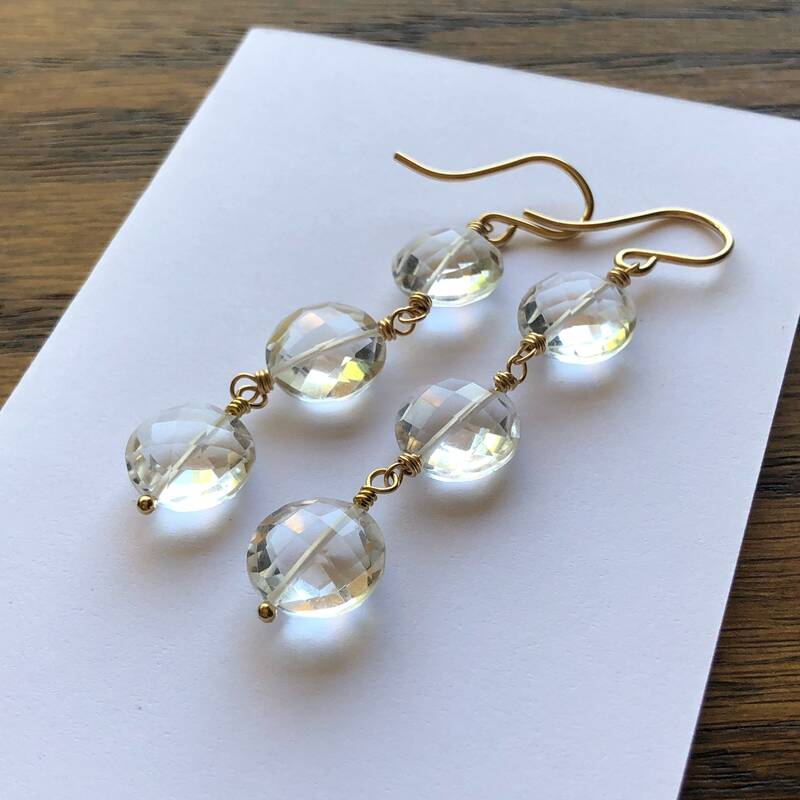 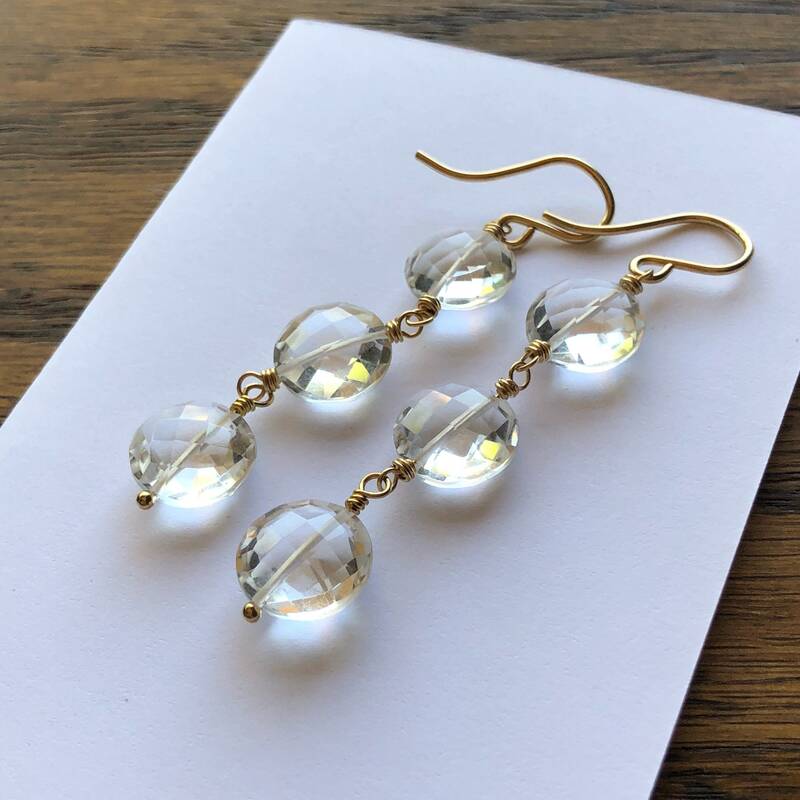 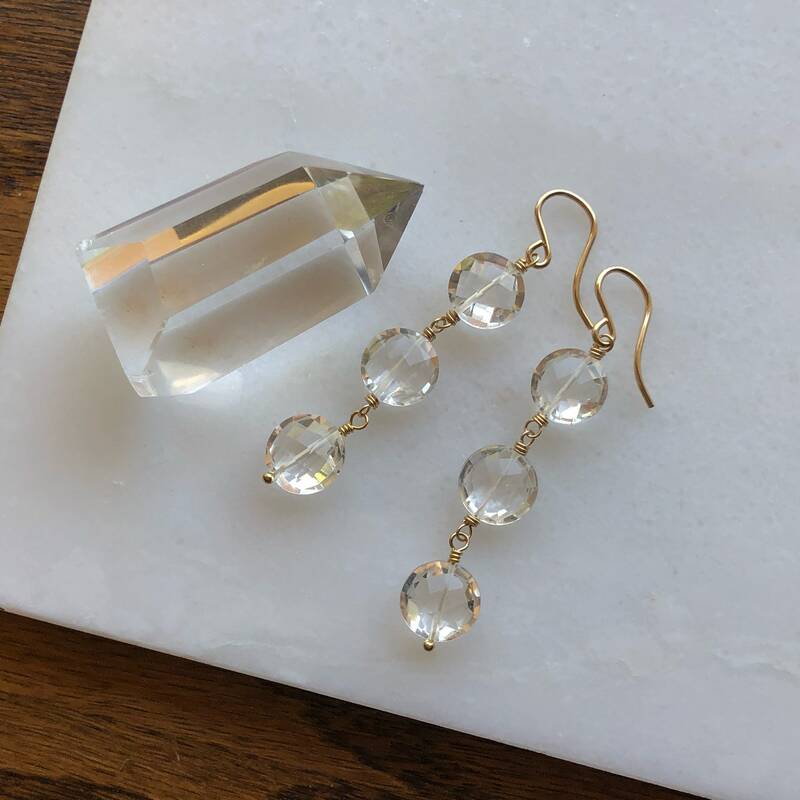 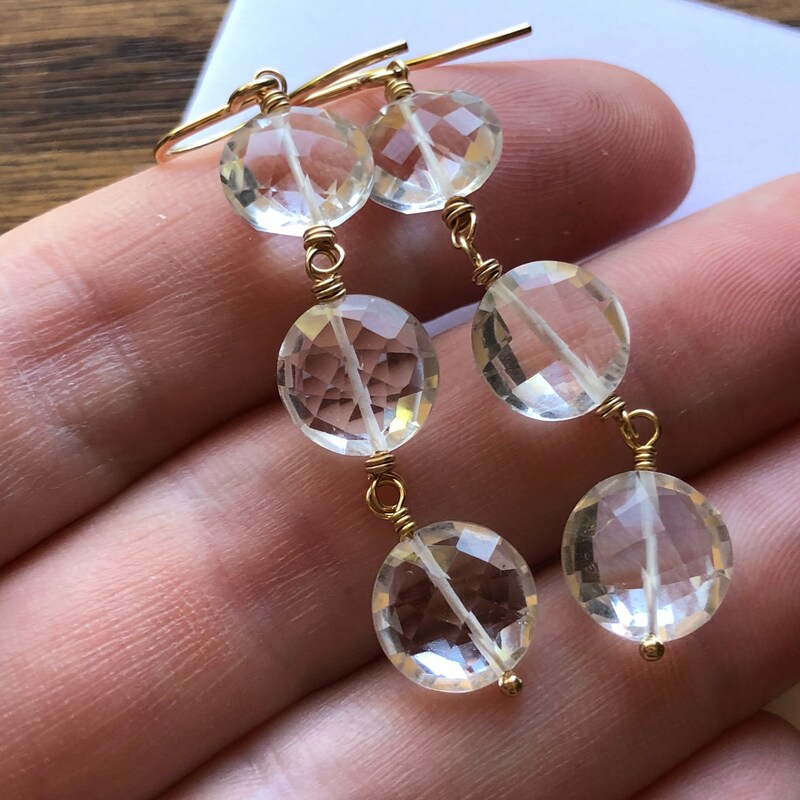 Icy rock crystal coins are meticulously wire-wrapped to form a lovely pair of earrings that are suitable for any occasion. 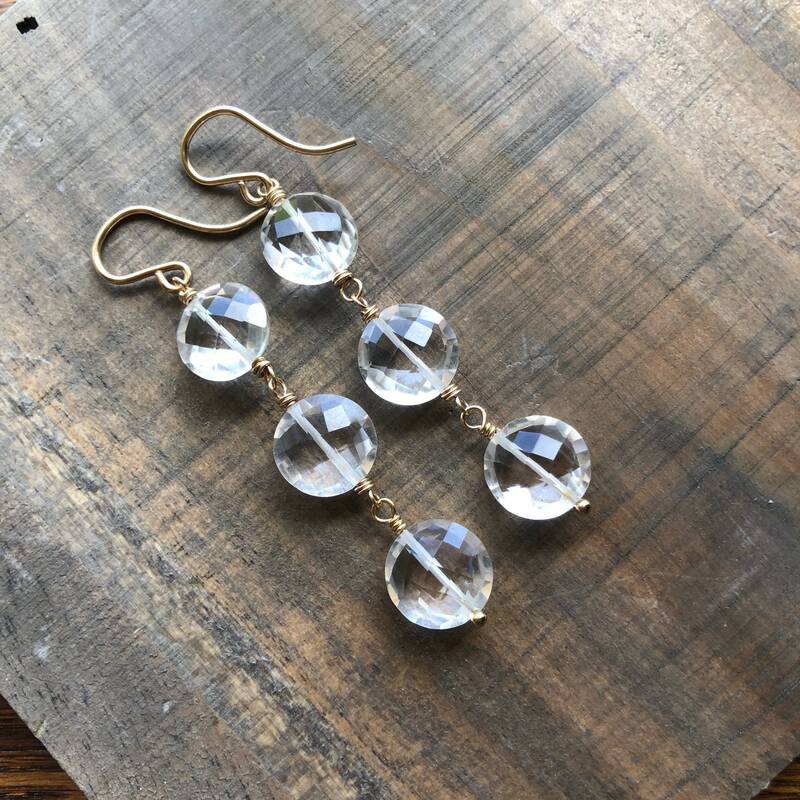 These hand-selected gems are beautifully faceted and perfectly clear. 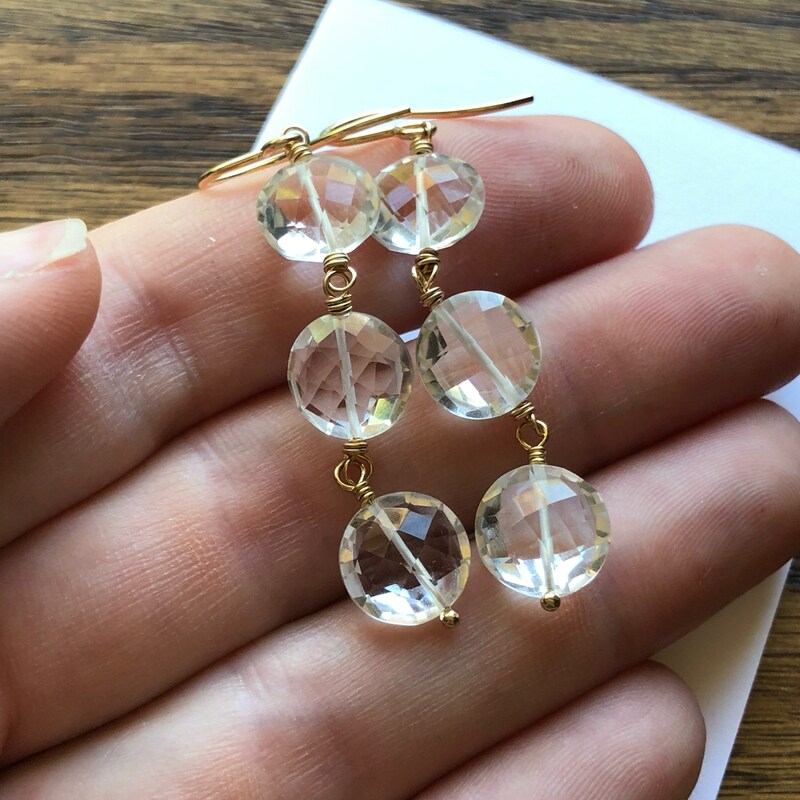 Petite French ear hooks.